The Pit Kevlar crew glove offers maximum protection. Made from Kevlar and wool, the Pit Kevlar helps prevent burns and accidental cuts. One size fit all. 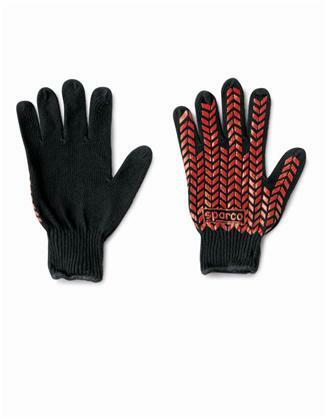 The Pit Cotton crew glove is designed for dexterity and grip. Made from soft cotton, the Pit Cotton offers rubber peening for increased grip and make it easy to handle small objects. Available in white with blue peening or black with red peening in one universal size. The Pit Nomex crew glove is designed for grip and protection. 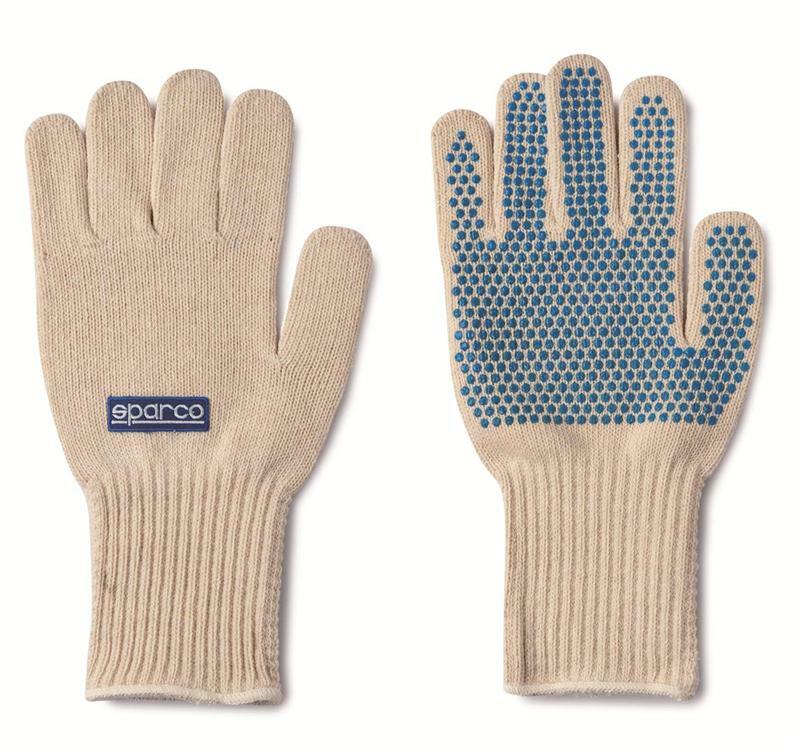 Made from Aramid fibers, the Pit Nomex features rubber grips on palms and a signature Sparco logo stitched on the back of the hand. The Pit Nomex is not fireproof and is available in one universal size.